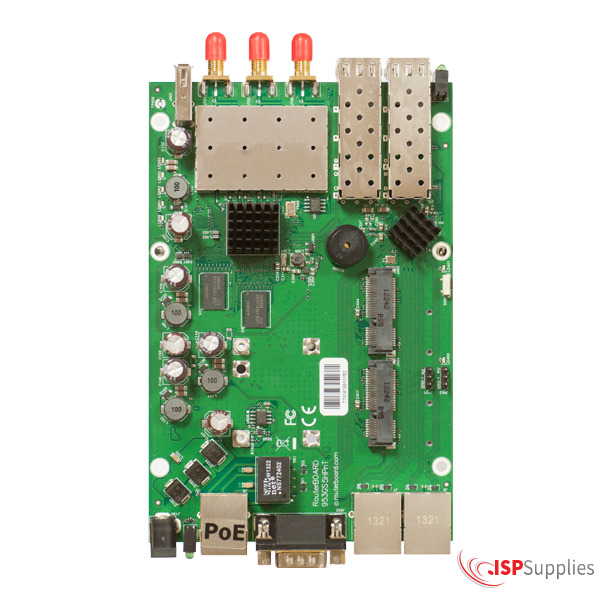 RouterBOARD 953GS-5HnT-RP is our first product with 5GHz 3x3 MIMO Triple Chain support. 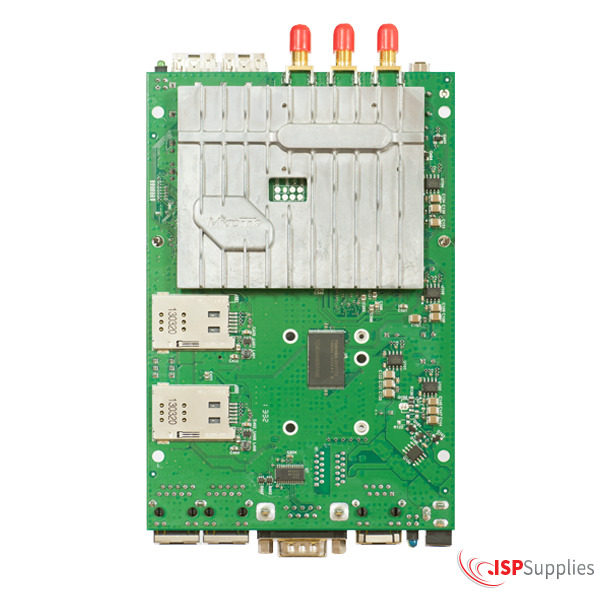 It has a powerful Atheros QCA9558 CPU 802.11a/n wireless support with three RPSMA connectors. RB953GS-5HnT-US is equipped with a new Scorpion 720Mhz CPU, 128MB RAM and three Gigabit Ethernet ports, to take advantage of high-speed 3x3 MIMO wireless. Moreover, it comes with two SFP cages to accommodate FTTH and fiber ring requirements.